Make Mom or Dad’s place of employment the first place you search for money for higher education. It was a great summer, wasn’t it? You laid around the pool all day, hung out in the basement playing video games with friends, and watched marathons of your favorite reality TV shows for hours on end. But now that you’re several weeks into the school year already, it’s time to crack down and get to work, and not just on your math homework. Yes, we’re talking about college again. It’ll be here before you know it, so don’t wait until it’s time to fill out the FAFSA before you start to seriously think about how you’re going to pay for it. Lucky for you, the Internet has made it much easier to locate and apply for scholarships than ever before. But before you dive into your search, there’s one not-so-obvious place you should look first: your parents’ place of employment. We’ve put together a list of some great scholarship programs offered by companies to children of employees. Don’t see your mom or dad’s company on the list? No worries. All you need to do is have your parents ask their HR departments if a scholarship program exists where they work. And here’s a side note to the parents out there who happen to be in between jobs and seeking employment: If you’re concerned about the high cost of your kids’ college education, consider focusing your search on employers that offer scholarships. They’re more common than you think. If your mom or dad is an employee of Siemens, you’re in luck. Children of employees of Siemens can apply for a merit-based scholarship, awarded during the final semester of their senior year of high school. You do have to take the PSAT/NMSQT as a junior this fall if you want to be eligible for the scholarship in 2013, but it’s worth it for a $1,000 yearly scholarship. Is one of your parents a federal employee? There are a variety of scholarships offered to employees and children of employees of the federal government, depending on where you live and in what government sector your parent works. The Federal Employee Education and Assistance Fund is an excellent merit-based scholarship competition that awards more than 400 students from 27 regions with scholarships ranging from $500 to more than $7,000. Verizon is another company generous enough to offer scholarships to children and legal dependents of employees. Each year, the Verizon Scholarship Program accepts applications from eligible high school seniors planning to enroll in an accredited four-year college or university the following fall. Renewable scholarships are awarded for up to $4,000 per academic year for four years of study. Doesn’t get much better than that! The Intel Scholarship for Employees’ Children is an excellent scholarship to apply for if one of your parents happens to work for Intel. Every year, Intel awards up to 400 scholarships worldwide. Children of employees can receive a one-time award of up to $4,000 to help achieve the goal of postsecondary education. Scholarship awards vary based on whether you’re going for a two- or four-year degree. For more than 25 years, Fluor Corporation has awarded more than $11 million in scholarships to 2,600 children of U.S. and international employees. The Fluor Scholarship Program is geared toward supporting the goals and aspirations of students who want to go on to college. Recipients can attend two- or four-year colleges, universities, or vocational-technical schools. Michelle Showalter joined Scholarship America in 2007 and is an alumna of Luther College in Decorah, Iowa. With time at a premium, focus on these reliable scholarship sources. ​It is much faster and easier to search for college scholarships and grants than it was 20 years ago, before the Internet​ changed the process for finding information forever. Now you just need an Internet​ connection and a phone, tablet or computer to find multiple resources for free money for college. The following five ways to search are all viable and every one of them is a potential gold mine. 1. School: It makes sense, doesn’t it? Since school is the primary place for formal education of teenage students who are about to potentially go on to a postsecondary education, you can expect to find fliers, posters and planned financial aid information nights at your high school or possibly even middle school. Look in the school’s lobby or rotunda and check your guidance counselor’s bulletin board. Ask your teachers and counselors about any potential financial aid for which you might be eligible. It doesn’t hurt to ask. There is nothing to lose and who knows – you might find a way to pay for a portion of your college costs. 2. Local library: The next most education-centered local source for most students is likely to be the public library. If you have one, even if you have not been a regular visitor, nothing is keeping you from going and asking the librarian or another employee what they know about local scholarship availability. Often you will find it is just a matter of asking the right person the right question when it comes to unlocking a wealth of valuable information. 3. Community organizations: If you or your parents belong to an organization such as the Boy Scouts or Girl Scouts, 4-H Club, Elks National Foundation or similar community organizations, you should find out if they offer any scholarships or grants. There are so many opportunities for students and parents who belong to these organizations, it is just a matter of performing a little bit of research. The Scholarships for Scouts website lists many scholarship opportunities for students involved in scouting, so the parameters and deadlines will vary. The Elks National Foundation offers more than one scholarship so parameters and requirements will vary. However, they will require membership, so find out if your parent, uncle, aunt or a grandparent is a member and, if so, look into this great opportunity. Awards from the 4-H club will vary, but if you are a member, you should look up your local chapter and see what they offer. In Illinois, for example, 4-H Club has many youth development programs as well as a variety of scholarships. 4. Your employer: This could be a company for which a parent or possibly other relative has worked for years, or even your part-time employer when you are in high school. Any corporation with which you are connected might be a scholarship resource. Be sure to find out if any of the employers of anyone in your family offers scholarships or grants. The McDonald’s Educates Scholarship Program offers one $1,000 award each year to a high-achieving student employee from each of the 50 states and the District of Columbia. One of those winners is eligible for a $5,000 prize. The United Technologies Employee Scholar Program covers tuition, academic fees and book costs for students attending of the company’s approved colleges, and there is no restriction on the type of degree. And the CVS Health Scholarships are available to students of full-time CVS employees. The application process will reopen in early 2016. 5. Free online scholarship searches: This one, naturally, is my favorite. Ever since the late 1990s, students and parents have been able to easily get information about scholarships online, and even get matched to them by creating a profile. Rather than searching for each type of scholarship for which you feel qualified, specialized websites allow you to just answer a few questions and find hundreds of potential sources for free college money. Not only that, but you can save, organize and update your profile and search results, tracking which ones you plan to apply for, those you don’t, those you have applied for, etc. While I recommend using all of the above mentioned methods, we all know time can be a major factor when pursuing such an endeavor. This is why I am constantly preaching the “early and often” method of researching and applying for scholarships. Start now and don’t stop until there are no reasonable matches left. If you want to win scholarships, you are going to have to find them first. Kevin Ladd is the vice president of Scholarships.com, one of the most widely used free college scholarship search and financial aid information resources online. The organization also formed RightStudent about five years ago, a company that has built relationships with colleges and universities across the U.S. to provide students with the opportunity to not only interact with prospective colleges, but to also be recruited by them. Follow Scholarships.com on Twitter and Facebook. Scholarship Search Insider features weekly expert advice and information on how prospective college students can find scholarships and pay for college. Scholarships.com was founded in 1998 and has become one of the most widely used free college scholarship search and financial aid information resources. College Greenlight is a leading college and scholarship platform for first-generation and underrepresented students. Its parent company, Cappex.com, is a free resource that helps students find their best-fit colleges. Got a question? Email scholarshipsearchinsider@usnews.com. Students looking to learn a specific skill may pay less for online education than those seeking a degree. Viewing content on sites such as Udacity, Udemy and Lynda.com can cost anywhere from a few dollars to a few hundred dollars. When it comes to online education, there are a lot of different options with a lot of different price points. Prospective learners can choose between free massive open online courses, or MOOCs, that are not for credit, for instance, and for-credit courses, which can cost thousands of dollars. When it comes to determining which online course to take, academic or career goals are usually a major deciding factor, Phillips says. Still, examining the costs of different online education options can help you see what you’re getting for what you pay. Subsidized by outside parties such as universities, MOOCs are among the most widely used form of free online education, and they come with both benefits and downsides, experts say. MOOCs are generally free and for the most part offer no college credit or form of certification – unless the student pays to take an exam. One example is Coursera’s Signature Track program, available in select classes, in which a verified certificate typically costs $30 to $100. While anyone can enroll in a MOOC, some of the courses can be equivalent to graduate courses, which can make the class difficult if you don’t have a background in the specific field, says Kenneth Green, founding director of The Campus Computing Project, which examines the impact of computing, e-learning and information technology on higher education. Additionally, with the low cost of MOOCs comes larger class sizes, often with thousands of students – even tens of thousands, says Michael Cusumano, a professor at the Massachusetts Institute of Technology’s Sloan School of Management, who has studied the economic implications of MOOCs. As a result, MOOCs can be “notoriously weak in terms of interactivity,” says Steven Weiland, a professor in the education school at Michigan State University. Discussion boards can have thousands of responses, for instance, making them difficult to follow. In terms of advantages, experts say many MOOCs are very well designed and are often taught by world-renowned faculty. Christopher Wang, a third-year student at the Georgia Institute of Technology, who has completed around 10 computer science-related MOOCs since his senior year of high school, says MOOCs allow him to learn simply for the sake of learning. “I think a free course focuses more on learning as opposed to grade-achieving, something that gets lost in the real classroom and the accreditation route,” Wang says, and the flexibility of MOOCs enables him to withdraw if he finds a course uninteresting. Beyond MOOCs, there are other free options out there, too. Sites like Khan Academy, a nonprofit organization, provide instructional videos and other interactive assessments for students. Sites such as Udacity, Udemy and Lynda.com have become popular in the past few years, experts say, and they can cost anywhere from a few dollars to a few hundred dollars. In contrast to MOOCs, the content on Lynda.com is packaged as educational videos that teach very specific skills, from InDesign typography to using Google Analytics. Members can access all the videos they want for $25 a month or $250 per year, plus premium options. Udemy offers a similar concept, providing students with educational videos from experts around the world. And Udacity provides free access to course materials. However, students who pay for certain classes can obtain professor feedback and earn a verified Udacity certificate. Online certificate programs at colleges and universities typically last around a year, maybe two. They are generally cheaper to enroll in than online degree programs, says Brad Voeller, co-founder of CollegePlus, a company that helps students design customized bachelor’s degree programs. Enrollment is typically a few thousand dollars a year. For example, at Pennsylvania State University—World Campus, students enrolled in a graduate certificate program in distance education who are taking fewer than 12 credits per semester pay $784 per credit, and those taking 12 or more credits pay a flat rate of $9,408, according to the school’s website. “A certificate is recognized for if you want to change your career or re-specialize your career, which happens more and more frequently,” says GetEducated.com’s Phillips. The most expensive option is an online degree program, which can cost tens of thousands of dollars, just like a degree obtained through a typical college class. Experts say degree programs are useful for developing transferable skills, such as writing and critical thinking, that aren’t specific to a certain career but instead are broader and can be applied to a range of jobs. “Everyone should think, ‘Why am I taking this course?’ and then pick that course accordingly,” Phillips says. Talk about finances now, but know when to let your child slip up. Heading off to freshman year of college is a gateway to new experiences—a time to explore academic interests, meet new people, and, for some students, embrace newfound financial independence. Instead, talk to your students about the importance of intentional, incremental budgeting. Help them set up a month-to-month plan that allows for unexpected expenses, such as an off-campus dinner with hall mates or a few extra loads of wash. That conversation is also a great opportunity to be honest about what they can assume from you; if you expect your student to save money to cover the last two years of tuition, for example, or if he or she will be paying for textbooks out of pocket, mention that now, experts recommend. 4. Utilize web resources: Though releasing the tether from your soon-to-be college student may still be a terrifying thought, rest assured that neither you nor your student needs to tackle the upcoming challenges alone. 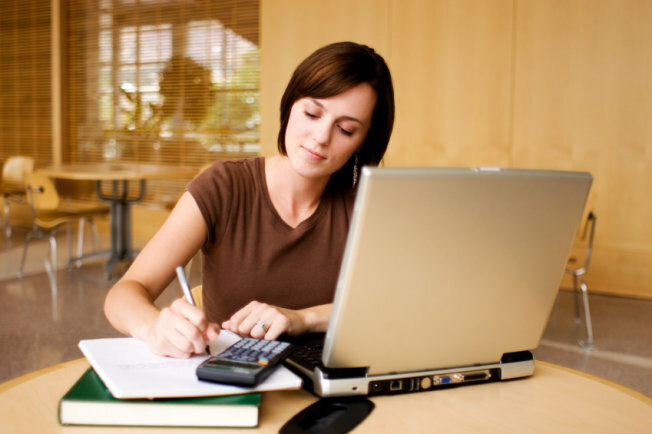 With the help of the Internet, students have financial management resources at their fingertips. Check out Mint.com for help with your budget, recommends Katherine Cohen, founder of Ivywise.com; explore the government-run MyMoney.gov for advice on making informed financial decisions; or see if your school has a virtual financial literacy program that makes money issues fun and understandable, such as the program Schantz is currently implementing at Wittenberg University. And if it gets tough making the shift from “daily parent to occasional coach,” as Grinnell’s Dougharty puts it, keep in mind that, after years of personal training within your family unit, allowing your student some leeway is a healthy route to tackling problems in school and beyond. 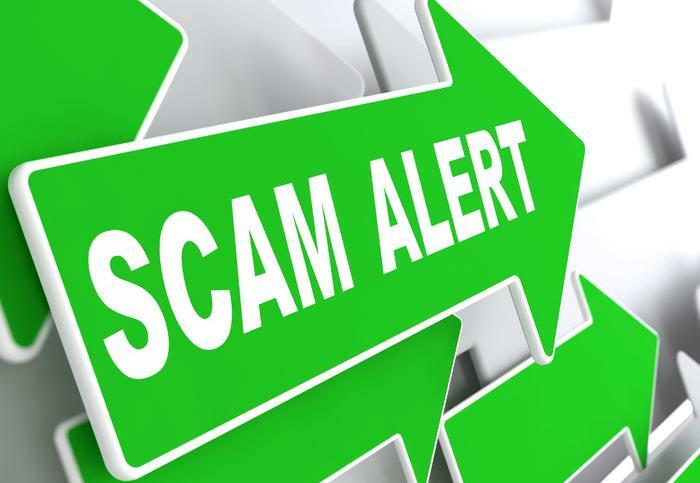 In a new and ironic twist, illegal downloaders are targeted by Internet scammers. Operating on the theory that it takes a thief to steal from a thief, a group of Internet scammers has been targeting students who illegally download music, books, and video. The Chronicle of Higher Education has reported on an apparently bogus collections agency that sent out letters to Bucknell students demanding $500 to settle the students’ alleged illegal downloads. 1. Fake scholarship promises: The Federal Trade Commission warns against advisers and Web services that charge big fees in return for help locating scholarships. 2. Dodgy student loans: U.S. News‘s Kim Palmer documented how some students have been misled by official-looking documents that were really ads for expensive loans. One silver lining of the recent economic downturn is a reduction in expensive private loans and lenders. But the FTC says students still need to make sure they stick with low-cost, legitimate education loans. The best deals, says the Project on Student Debt, are the federally backed student loans such as the Perkins (which charges just 5 percent in interest) and Stafford loans. 3. Untrustworthy counselors: While there are many legitimate, private, fee-based counselors who can help students refine their college choices and negotiate the financial aid maze, there are some charlatans, as well. Michael Traynor, a once prominent college financial aid adviser in Florida, got caught stealing from his clients, many of whom he met in church. He is now in prison. 4. Illegal downloads: As tempting as it can be to save money by downloading free music, movies, or textbooks, many of the downloads contain spyware that can end up causing financial havoc. Illegal downloaders are also more vulnerable to the new collections scams. 5. Diploma mills: Lots of online universities, many with impressive-sounding names, are luring students with offers of credit for “life experience” and cheap degrees. But beware: Sometimes, you get what you pay for. A cheap diploma from “The University of Berkley” won’t get you the job, salary, or recognition that comes from a real degree from the University of California-Berkeley. The FTC, Department of Education, and several state agencies, such as this one in Oregon, can help students avoid paying for degrees that other schools and employers won’t recognize. 6. Term papers and other cheating supplies: The Web has made it a snap for lazy and dishonest students to find term papers, lecture summaries, and even test questions and answers. But universities are increasingly using new software like Turnitin, Web honey pots (websites set up by professors to attract and catch cheaters), and spy cameras to track down dishonest students. Even if you get an A on that purchased term paper, it’s still a scam, since you’ve paid lots in tuition and cheated yourself of learning. Kim Clark, senior writer for U.S. News & World Report, used loans, scholarships, grants, fellowships, savings, earnings, and generous contributions from her family (thanks, Mom, Dad, Grandpa and Grandma!) to fund study at four different universities. She even managed to graduate from two of them. She’s been researching and writing about the best ways to raise college cash for five years. If you’re panicked about paying for college, e-mail questions to collegecash@usnews.com. How Can International Students Get Financial Aid? It’s not easy, but there are 4 options to help international students pay for American colleges. "Hey there! I am sooo desperate and I need your help! I just found out that I got admission for CSU East Bay! Unfortunately, I wanted to get a student loan over here in Germany, but they don't give it to students who want to study out of Germany when you are not German. I got so upset when I heard that. Anyway, then I looked for some student loans in the States, but all of them want a cosigner (somebody who is American or has American residence). I worked hard for that admission and I really want this, but I don't know how to get the money together. Fatima"
I wish I could report good news to Fatima and the millions of other non-U.S. citizens who need a loan to pay for an American college. But the sad truth is that there just aren’t many loans out there for them. The cheapest student loans in the United States are backed by the federal government, which will lend to only a few kinds of noncitizens, such as refugees. And the credit crunch seems to have dried up the more expensive private loans made by banks. I spent several days searching and couldn’t find any company in the States that would make an unsecured loan this fall to a noncitizen without an American cosigner. The banks are afraid, basically, that students who return to their home countries will be tempted to stop making loan payments because it would be hard for American lenders to chase after them. American residents who sign agreements to repay loans, on the other hand, face dire consequences if they default, so they are more likely to make payments. 1) Home – country private lenders or government programs. It sounds like this option wasn’t available to Fatima, but it is available to many other students. Unfortunately, I couldn’t find any single site or information source that gives all the information you need. But here are a couple of places to start your search: Besides checking your home country’s education agencies and banks, students can ask for advice at the EducationUSA advising centers in American embassies and consulates around the world. Be careful about those loans, however. Many charge very high interest rates, have too short a repayment period for students, and require your family to pledge assets such as a house. 2) U . S . colleges. Some American colleges are stepping into the breach by lending money directly to their students. I haven’t been able to find any kind of comprehensive list of schools with such loan programs, but the Overseas Association for College Admission Counseling has this list of schools that offer the most financial aid to foreign students. Those are likely prospects. If your school isn’t on this list, it’s still worth asking your school’s financial aid office to see what kind of loans they can help arrange for international students. Unfortunately for Fatima, California State University-East Bay says it cannot arrange loans for students who don’t have American cosigners. 3) Friends and relatives. You could try the old-fashioned way of simply asking everyone you know for help. Or you could experiment with new, Web-based social lending options. Greennote.com and Fynanz.com, for example, offer students tools to persuade friends, relatives, and even strangers to lend them money. 4) U . S . banks and lending companies— if the student has an American cosigner. Naturally, it can be difficult for a student living overseas to find an American who would be willing to pay off her student loans if she defaults. So you might have to get creative to persuade a cosigner that they won’t be left making your payments. Here’s one twist that might help you persuade someone: Sallie Mae, one of the few lenders currently making any kind of loan to international students, will release the cosigner from their commitment if you build up a good credit history (by, for example, repaying other loans and getting a job), become a permanent resident, and make 24 on-time payments. This option isn’t easy, because it requires you to win a green card for the United States, but at least it’s possible. If you’ve got a financial aid question, E-mail collegecash@usnews.com. What Financial Aid Is Available for International Students? There are many options for college funding for non-U.S. students, if you know where and how to look. Q: What financial aid is available for international students? A: There are two questions that need to be asked. 1. Will applying for aid as a non-U.S. citizen or permanent resident impact my admissions decision? 2. If admitted, what will my financial aid package look like from the perspective of grants, loans, and any potential gap to meet the full cost of attending the school? The University of Pennsylvania has a need-blind admissions policy for U.S. citizens/permanent residents and for citizens of Mexico and Canada. All other students compete for funds allocated for international students, an amount which is approximately $6 million to $8 million per year. Once admitted to Penn, all students, regardless of country of citizenship, receive a financial aid package that in most cases includes some job on campus, and the rest of the package is institutional grant money, which does not get paid back. No loans are part of the financial aid package. See all of Eric’s expert admissions advice. A: International students also have options when it comes to financial aid. Most financial aid in the United States is restricted to students who are from the United States or who are legal residents or green card holders—and, of course, that is all related to taxes and federal money. However, there is money available for international kids, just not a lot, and what’s available really varies from school to school. A handful of schools have a lot of money for any kid, and a handful of schools have money just for international kids. If you’re a United World College Scholars student for example, you’re eligible for a grant from the Davis Foundation, or if you’re admitted to one of the very wealthy institutions in the United States, chances are money will appear for you. Check each college’s website to see what might be available. Write E-mails. Ask questions. You’ll probably be required to submit a statement of finances from your parents with some documents from a bank, translated into English. Another idea is to look at smaller colleges that have lower overall fees to begin with; many of those schools are very eager to have international students and have set aside money to help make a less expensive experience become even more affordable. In every case, ask about your tax responsibility at the school that does give you scholarship money. It’s one thing to think you’re going to school at a discount or free, and then something else to discover that you have a tax bill at the end of the year. See all of John’s expert admissions advice. A: International aid varies widely. Some colleges offer aggressive scholarship programs for international students. Others have very limited aid for internationals. Some offer merit aid to international students. Others are need-based only. It can vary widely from campus to campus, so check the financial aid and international student sections of college websites for specific information about each college in which you have serious interest. Visit the Unigo Expert Network for more expert explanations about international student financial aid and to have your own questions answered. Find Unigo on Twitter at @Unigo & Facebook at Facebook.com/MyUnigo. When it comes to affording college tuition, there’s plenty of free money to be had if you know where to look. 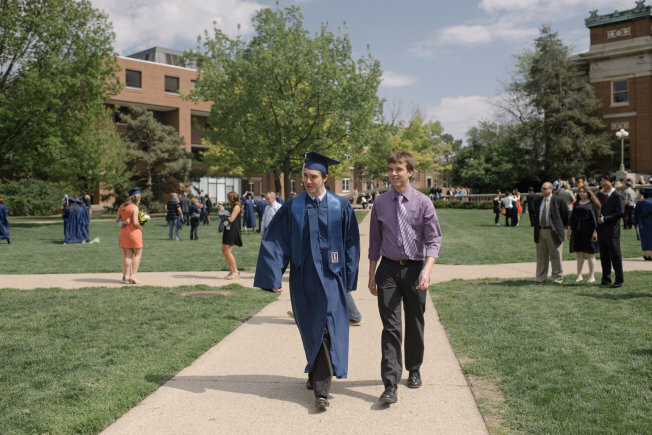 Brothers Nick, graduating, and Alex Fregeau, then a sophomore, at the University of Illinois—Urbana-Champaign, received scholarship cash for their education. Heather McDonnell, associate dean of financial aid and admission at Sarah Lawrence College in Bronxville, New York, was shopping at the grocery store a few years ago when a man came up to her and appealed for mercy. A father who recognized McDonnell from a high school presentation she had given wanted to sweet-talk her into handing over a little more cash to cover the college’s tuition, now $49,680 a year. McDonnell prefers that parents email their appeals, but she can sympathize with that dad’s desperation. “We’ve been witnessing an erosion of state and federal funding for years,” McDonnell says. Ten years ago, for example, Sarah Lawrence got about $250,000 in Federal Supplemental Education Opportunity Grants for low-income students. By 2014, that figure had dropped to $137,728. Before you try to knock down the price tag of your child’s dream school, it’s vital to understand the elements of the typical aid package. The first is federal need-based aid, which includes grants, funding for work-study jobs and subsidized Stafford loans – meaning the government pays the interest for you while you’re in school. This aid is determined by your family’s financial information on the Free Application for Federal Student Aid, or FAFSA. Families with exceptional need may also qualify for a federal Perkins loan. Then there are merit scholarships offered by the institutions themselves for academic achievements or talents. Finally, there are federal loans that aren’t subsidized, for people who don’t qualify for that perk or who need more, and parent PLUS loans for Mom and Dad. An incoming freshman can borrow up to $5,500 in Stafford loans, of which no more than $3,500 can be subsidized. The limits rise in later years and for students who are independent of their parents. The interest rate on Staffords is now 4.66 percent. Perhaps you face a challenge not accounted for on the FAFSA form. When Elizabeth Avery’s daughter, Charlotte, was accepted by Union College a year ago, she was thrilled, but there was a problem: Her father’s take-home pay was going to fluctuate over the next few years because of an arrangement with a new employer. “We may look good on paper, but what we can afford is very different from what the government determined we can afford,” says Avery, a relocation specialist in Pittsfield, Massachusetts. She sent an email to the aid office spelling out the family’s circumstances. Charlotte received a $10,000 merit scholarship that renews every year. It also can be worth your time to seek scholarships off the beaten path. By searching sites like Fastweb.com, Susan Fregeau, a certified public accountant in Westmont, Illinois, discovered the Laverne Noyes Foundation Scholarship, offered to descendants of people who served overseas in World War I. “I do genealogy, so I knew where Grandpa fought at that time,” Fregeau says. Her oldest son, Nick, got $5,000 to help pay his four years of tuition at the University of Illinois—Urbana-Champaign. He graduated last spring and is starting law school there this fall. Younger brother Alex, now a junior at the school, received $2,000 from Laverne Noyes for the 2013-2014 academic year. If you’ve snatched up all the free money you can find and need to fill in the gaps with loans, be aware of the long-term ramifications. Subsidized loans cost less over the long run because the government pays the interest while the student is in school. The government also covers it during the six months after graduation before repayment starts, and during any period of deferment for grad school or a period of unemployment, say. Congress in 2012 extended low student-loan interest rates but temporarily did away with the grace period after graduation, so students who received direct subsidized loans between July 1, 2012, and July 1, 2014, must either pay interest that accrues then or it will be added to their principal balance. And as you weigh whether to grab that parent PLUS loan the acceptance letter is offering, you may want to look into cheaper options. The interest rate on PLUS loans is currently fixed at 7.21 percent. Home equity loans are now being offered at an average interest rate of 6.1 percent, according to Bankrate.com, and the interest is deductible. Guido Castellani III, who received about $200,000 in grants and scholarships to cover his four years at Sarah Lawrence, applied during the early decision round and was accepted, but knew there was “no way” he could afford it. So he scoured the Internet and discovered that as the son of a former Marine officer, a Vietnam vet who passed away in 2003, he was eligible for certain scholarships and other funding. Castellani, who is originally from Scranton, Pennsylvania, was awarded $10,000 a year from the Marine Corps Scholarship Foundation plus about $950 a month in educational benefits from the U.S. Department of Veterans Affairs. “I had to be persistent,” says Castellani, who graduated in May. He negotiated with Sarah Lawrence’s financial aid office to get additional aid junior year, and right before he graduated, he applied for – and won – a scholarship from the Children of Fallen Patriots Foundation to cover the $12,000 he’d accumulated in subsidized loans. This story is excerpted from the U.S. News “Best Colleges 2015” guidebook, which features in-depth articles, rankings and data. Get more information about key terms surrounding paying for college. “Forget the number: It says nothing about the state of the economy,” says one economist. Navigating the college financial aid process can be daunting even for the most highly educated among us. What are the differences among grants, scholarships, and loans? What does FAFSA stand for and who should complete it? And how does work-study actually work? Your college education is an extremely important—and often extremely expensive—investment. Before you shell out thousands of dollars for an advanced education, give yourself a basic education of postsecondary financial aid. To help, we’ve put together a quick reference guide on common—and often confusing—financial aid terms. From award letters to tuition reimbursement, we’ve got you covered. Expected Family Contribution (EFC): This is the measure of your family’s financial strength, and how much of your college costs it should plan to cover. This is calculated based on a specific formula, which considers taxed and untaxed income, assets, and benefits, as well as the size of your family and the number of family members attending college during the year. Your expected family contribution is calculated based on your FAFSA results. FAFSA (Free Application for Federal Student Aid): You’ve probably heard of the FAFSA, but do you know what it is and just how important it can be for you and your family? Filling out the FAFSA is one of the first steps in the financial aid process, and determines the amount that you or your family will be contributing to your postsecondary education. The results of the FAFSA determine student grants, work-study, and loan amounts. We recommend that everyone fills out the FAFSA; it only takes about an hour to complete, and you may be surprised with the results. Federal student aid: The largest form of student aid in the country, federal aid programs come in the form of government grants, loans, and work-study assistance and are available to students at eligible postsecondary institutions (colleges, vocational schools, and graduate schools). Financial need: This is the amount of a student’s total cost of attendance that isn’t covered by the expected family contribution or outside grants and scholarships. A student must demonstrate financial need to be eligible for need-based financial assistance programs. Grants: Did someone say free money? Unlike loans, grants­­­­—which can come from the state or federal government, from the college itself, or from private sources—provide money for college that doesn’t have to be paid back. We’ll take this opportunity here to remind you again to fill out the FAFSA; many grants determine eligibility by looking at your FAFSA results. Loans: If scholarships and grants don’t cover the entire cost of your tuition, you may have to take out a student loan to make up the difference. Federal student loans don’t have to be paid while you’re in college, and there are also a variety of loan forgiveness programs out there post-graduation. The rates and terms are generally more flexible than private loans. Room and board: Everyone needs to sleep and eat. If you plan to do it on campus, those fees are part of your total cost of attendance. 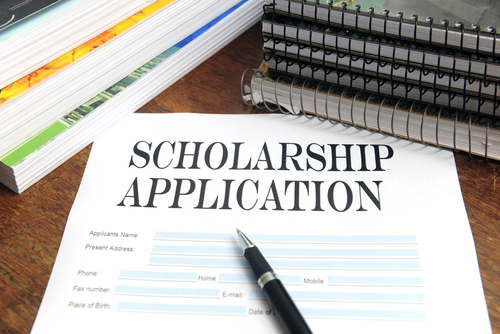 Scholarships: There really isn’t much difference between a scholarship and a grant, though the general consensus is that scholarships are primarily awarded for academic merit (good grades) or for something you have accomplished (volunteer work or a specific project); however, there are many need-based scholarships out there, as well. Like grants, scholarships don’t have to be repaid. Tuition: College tuition is the “sticker price” of your education, and does not include room and board, textbooks, or other fees. Colleges often calculate tuition based on the cost of one credit, or “unit.” For example, a college may charge $350 per credit for an undergraduate class. Many times colleges will simplify this by providing a flat fee for tuition; you’re often required to take a minimum amount of credits and cannot exceed a maximum amount of credits. “True cost” is a little misleading, since there are other costs on top of tuition. Tuition reimbursement: Tuition reimbursement, also sometimes called “tuition assistance,” is increasing in popularity. Some employers will refund you the cost of your tuition if you’re studying a work-related area. 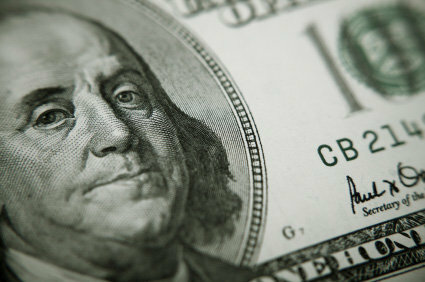 Tuition reimbursement can cover as little as one or two courses, or can cover up to the entire cost of your education. Work-study/work award: The Federal Work Study program provides funds to eligible students (see FAFSA above) for part-time employment to help finance the costs of postsecondary education. In most cases, the school or employer has to pay up to 50 percent of the student’s wages, with the federal government covering the rest. You could be employed by the college itself; or by a federal, state, or local public agency; a private nonprofit organization; or a private for-profit organization. Some highly ranked online degree programs award students money. Penn State World Campus offers online students a wealth of scholarships, including awards for undergraduates and part-timers. ​Earning a college degree has never been more essential to a working American, even when factoring in the high cost of college tuition and mounting student loan debt. According to a New York Federal Reserve study released last June, individuals with a bachelor’s degree made an average of $1 million more in their lifetimes than those with just a high school diploma, and those with an associate degree made $325,000 more. But if you’re already in the workforce or you’re busy raising a family, attending college classes outside of your work and home life can feel impossible. Thankfully, there are some fantastic online degree programs from reputable colleges and universities that can help you achieve your educational dreams, get your degree and maximize your earnings in the workforce. Not only that, many offer excellent scholarship opportunities that can help offset the cost of your tuition. Pennsylvania State University—World Campus is ranked No. 1 on U.S. News & World Report’s list of ​​2015 Best O​​​nline Bachelor’s Programs and has impressive scholarship opportunities available to students. The Jane Ireland Student Fund, for instance, is a scholarship dedicated solely to Penn State World Campus undergraduate degree students. Though the deadline for the next round of scholarships has passed, make sure to check back in a few months for more information on how to apply. In addition, Penn State World Campus offers an array of other scholarships for those pursuing their degrees online, including scholarships for first time or returning students, adult learners, part-time and full-time students and military students. The good news is only one application is required for all of these scholarships, with the next round of recipients being notified in April. Central Michigan University is another highly ranked online degree program to explore, and offers a wide variety of majors to choose from. As a bonus, the university also offers a number of scholarships to students earning their degrees online through CMU’s Global Campus. For example, the Global Campus Endowed Scholarship is available to students pursuing a graduate or undergraduate degree, with preference given to single-parent or unemployed applicants. The Global Campus Staff and Faculty Award is similar, but preference is instead given to students admitted to or enrolled in their first semester. Though the scholarship application period for the 2014-2015 academic year is closed, keep an eye on the website so you don’t miss important scholarship information. Colorado State University awards scholarships every trimester for both undergraduate and graduate students attending classes online. These opportunities include scholarships for members of the military, parents and guardians, first-generation students and those pursuing associate degrees. Check out their website for more information on how and when to apply. Many of you have likely heard of popular online degree programs offered through for-profit schools, such as the University of Phoenix and Capella University. If either of these institutions interest you, you’re in luck, as both schools offer scholarships to help offset tuition costs. For example, the University of Phoenix, in collaboration with Year Up, offers the Year Up Scholarship: full-tuition scholarships that are awarded to five prospective students to attend the University of Phoenix, either in person or online. The application period opens Jan. 20 and closes March 5, so now is the perfect time to learn more on the website. Capella University also offers some generous scholarships. Visit their website for more information. Finally, don’t limit yourself to scholarships available strictly for online degree seekers. Many general scholarships and federal financial aid programs can be applied to tuition at accredited online institutions. You’re just as eligible for these opportunities as someone attending a traditional brick-and-mortar institution.